Realco Power Projects is offering to our valued customers a supreme quality range of Supply & Installation of DG Sets. These services are ideal for various models of DG sets. Supported by logistic services, we render these services to our clients at their respective locations. 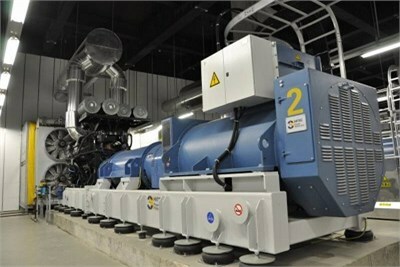 Diesel generating sets from world class engine and alternators manufactures ranging from 125 KVA to 3200 KVA as turnkey projects and Industrial Piping. We provide Hot and cold insulation work for any size of enclosure rooms with single or multiple DG sets. Site Work Erection / Fabrication / Construction Jobs as per customer design / Drawings, We Provide Sound Insulation. Acoustic Canopies for Gensets of any rating as per CPCB limits or International standards.